Buttermilk waffles drizzled with melted butter and maple syrup, a warm omelet filled with melted cheese and seasonal vegetables, or a helping of perfectly crisp hash browns. These classic breakfast dishes are always delicious and provide plenty of energy for the day ahead. 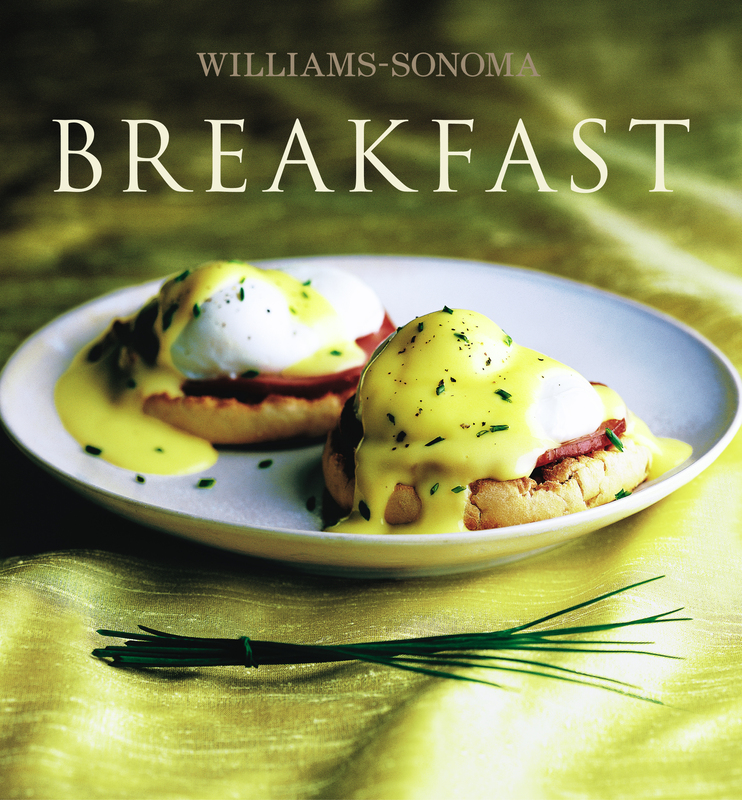 Williams-Sonoma Collection Breakfast offers more than 40 recipes, ranging from old favorites to fresh new ideas. Whether you are looking for a dish to prepare in advance and eat on a busy weekday, such as almond-currant scones or homemade granola, or a special treat to enjoy on a more leisurely weekend morning, such as blueberry pancakes or a savory frittata, this book has recipes to suit all tastes. And for special brunch gatherings, an entire chapter of original recipes—including sweet cherry and cheese blintzes as well as a hearty wild mushroom quiche—will help you plan an irresistible menu to share with family and friends. Vivid, full-color photos make it simple to choose which dishes to prepare, and photographic side notes give insight into the many ingredients and techniques used throughout the book, making Breakfast much more than just a fine collection of recipes. In addition, an informative basics section and glossary provide you with all you need to know to prepare the first—and most important—meal of the day. Eating a satisfying, well-balanced breakfast is undoubtedly the best way to begin any morning. Classic dishes such as omelets, buttermilk waffles, or old-fashioned oatmeal not only are delicious, but also give us the energy we need to make the most of the day. Williams-Sonoma Collection Breakfast offers more than 40 easy-to-follow recipes, including enduring favorites and inspiring new ideas. In these pages, you will find simple breakfasts ideal for busy weekday mornings as well as more elaborate dishes perfect for brunch entertaining. This beautifully photographed recipe collection is sure to become an essential addition to your kitchen bookshelf.